Glass Jar Blackcurrent Jam 28g Pack of 72..
Glass Jar Orange Marmalade 28g Pack of 72&nbs..
Glass Jar Raspberry Jam 28g Pack of 72..
Glass Jar Strawberry Jam 28g Pack of 72.. Guest Biscuits Individually Wrapped Box 300.. Guest Cereals Cornflakes Pack of 40.. Guest Cereals Crunchy Nut Cornflakes Pack of .. Guest Cereals Frosties Pack of 40.. Guest Cereals Fruit N Fibre Pack of 40.. Guest Cereals Rice Krispies Pack of 40.. Guest Cereals Special K Pack of 40.. Guest Decaff Coffee Box of 200 Sticks.. Guest Marmalade 20g Pack of 96.. Guest Milk Portions Semi Skimmed Milk Pack 15.. 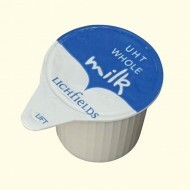 Guest Milk Portions Whole Milk Pack 150.. Guest Pepper Pack of 1000.. Guest Salt Pack of 1000.. Guest Strawberry Jam 20g Pack of 96.. Guest Sugar Sticks Box 1000.. Guest Sweetener Sticks Box 1000.. Guest Tetley Tea Bags Box 25 Individual Envel.. Plastic Waste Paper Basket 11.5ins Dia.. Guest Hot Chocolate Box 100 Sachets..